A realistic, inexpensive, lightweight, infant CPR trainer that offers all the essential features. Four Pack includes: 4 Manikins, Soft Pack, 24 Airways, 40 Foreign Body Practice Objects, and Directions for Use. 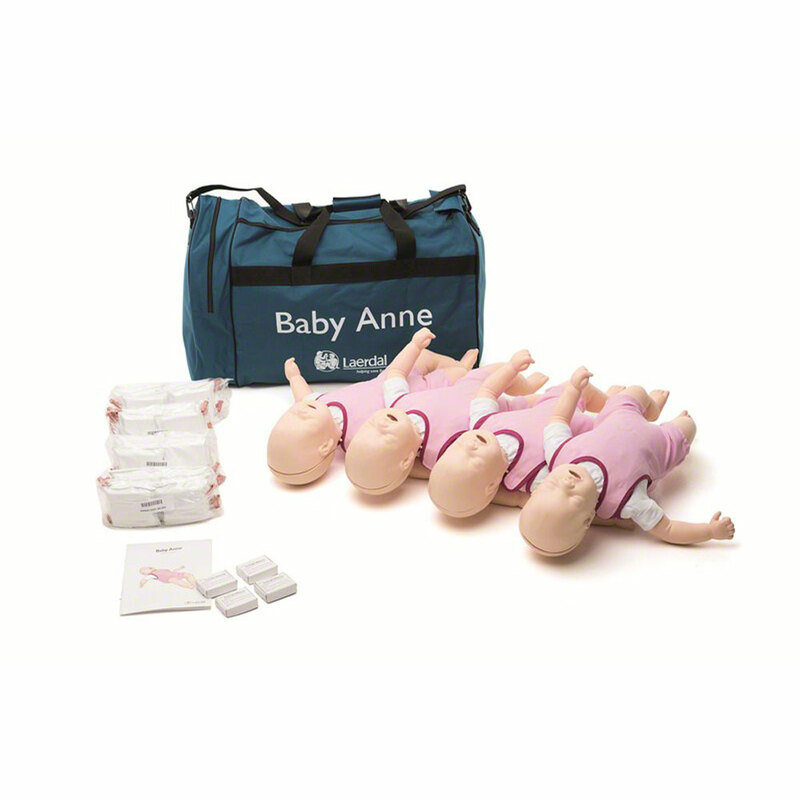 The Baby Anne manikin is a realistic, inexpensive, and lightweight infant CPR trainer with all the essential features for adult CPR learning.